It's finally here! 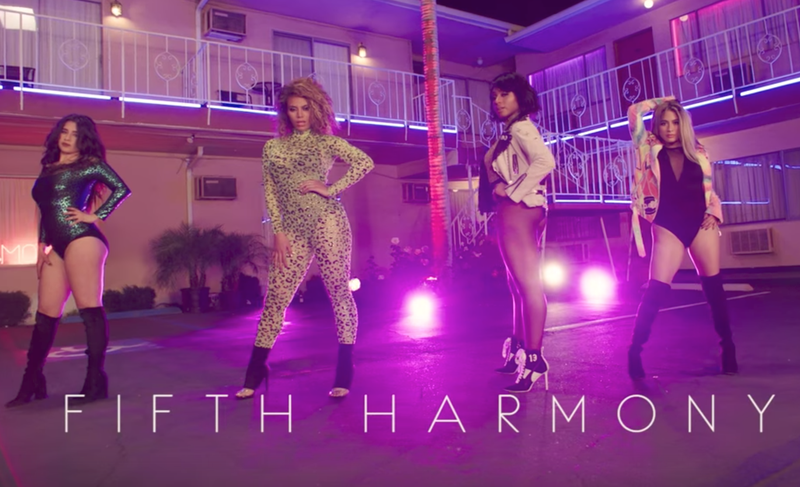 Fifth Harmony just released the music video for their new song 'Down'. They may be missing a member, but it's business as usual for Fifth Harmony, who just dropped the video for their first single without Camilla Cabello. 'Down' was officially released last week Friday, and features rapper Gucci Mane. The rapper also makes an appearance in the neon-lit motel party-themed video. The single is sure to be a hit for the group, with fans comparing it to previous hits like 'Work From Home' - which has been viewed more than 1.5-billion times on YouTube. It seems the girls did that intentionally. "When we got into the studio, we couldn't help but jump on the track. We found our formula that's worked for us in our past music, so we were like, "You know what, let's just run with this, this is what has worked — like in 'Work from Home," Dinah Jane told Time. Fifth Harmony - or should that be Fourth Harmony - are sexier than ever minus Camilla. The video features lots of racy outfits and a bedroom gyrating scene. The group will be releasing their first album as a foursome later this year.